I know this quote is more about our own personal risks than about a garden, but as June draws to a close, it is the garden that I am thankful for as it takes hold and grows. The garden is a lovely metaphor for our own lives; were better place to learn patience. Returning to my Monday favorite quotation posts, I have added a few garden photos to remind us all to blossom. This entry was posted in SFH Favorite Quotes. Bookmark the permalink. That’s a great quote. 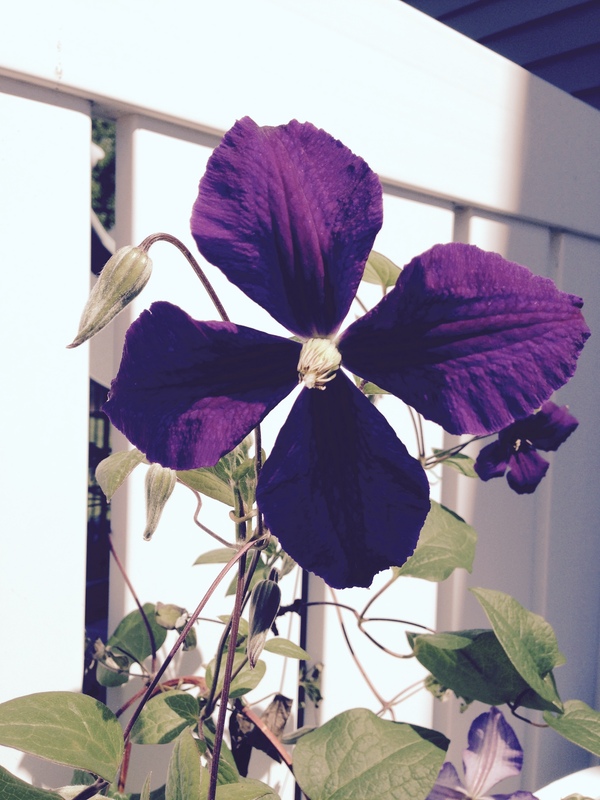 Do you know the name of your clematis? I’m looking for one that will bloom other than just spring. Your garden is gorgeous. 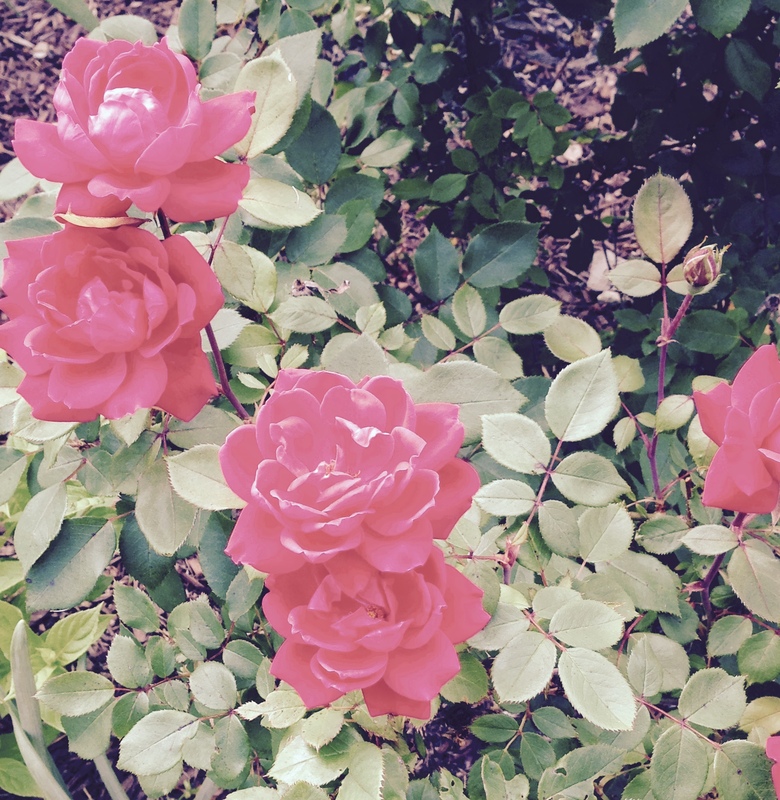 Gene has been planting knockout roses and watering like mad. They love water and will reward you with blooms. 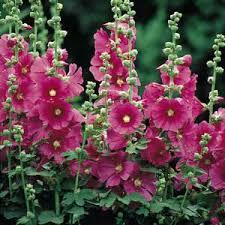 The longer they are established, like other plants, need less water. It is a great plant that if happy, gets big. I intend to get more in the ground in early fall. Gene will be rewarded for his hard work for sure.